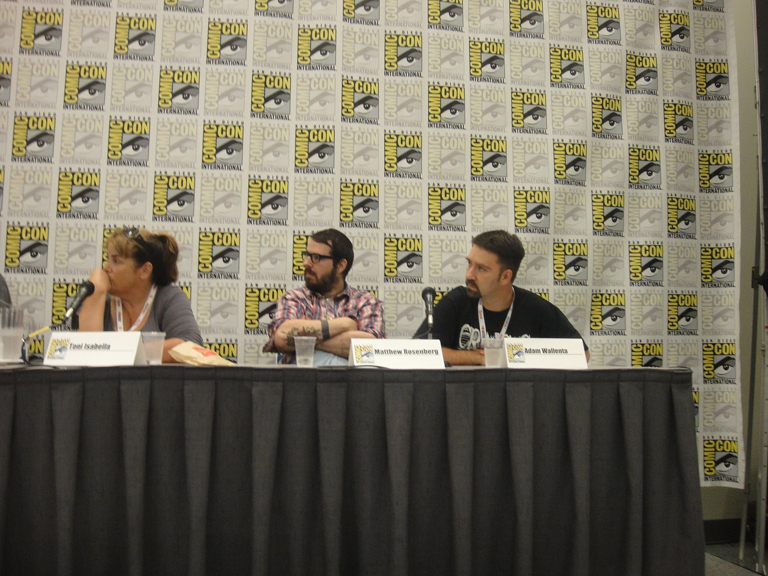 I recently attended the San Diego Comic Con and was a guest on the “Hip-Hop And Comics: Cultures Combining” panel, which was moderated by my man Patrick A. Reed from Depth of Field Magazine. I helped start this panel discussion back in 2007 during CMJ at NYU. Since then we have had a lot of great conversations with a lot of talented artists, musicians and creators. Check all the links for various articles, reviews, and video. This is a really important topic for me and I am honored to participate in it along with so many legendary creators. Everything I do is based on my love for these two cultures and they have been a part of my life for as long as I can remember. I live and breathe comics and HipHop and being able to contribute to both cultures and art forms in a positive way was always my goal in life and I’m fortunate to have my dreams come true. 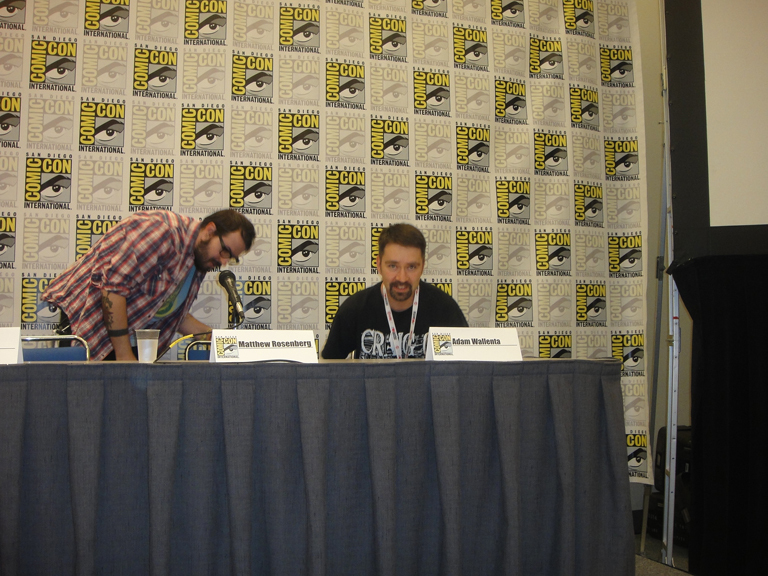 I really can’t thank Patrick enough for taking this to the next level and being an amazing moderator. Please be sure to follow him on Twitter and subscribe to his online magazine. 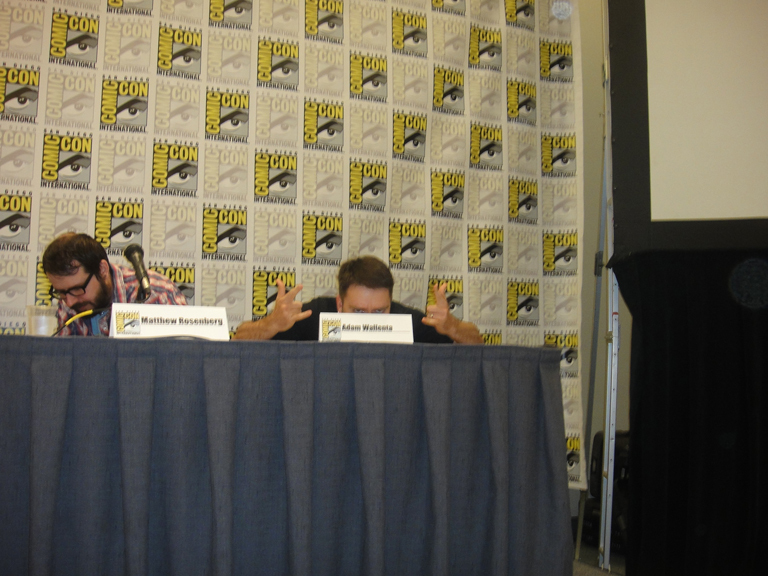 I hope to have more video and photos from the recent San Diego panel soon, so stay tuned. For now, here are a few random shots. This is very serious stuff, folks. 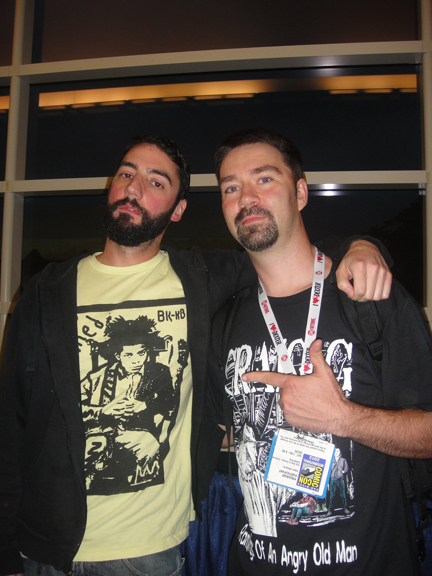 Chilling with fellow panelist- the super talented Jim Mahfood. I love his artwork. He’s a huge inspiration to me. No matter what I do I always look like a complete nerd. 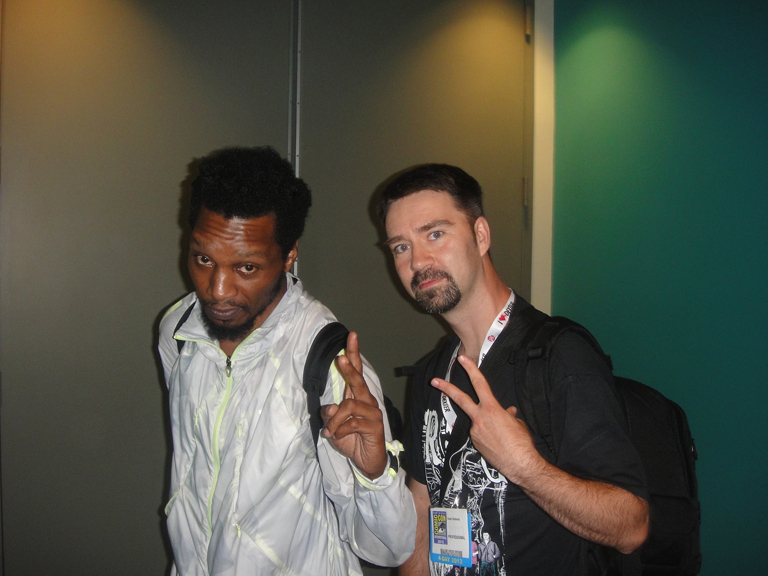 Chilling with fellow panelist- the legendary, Del The Funky Homosapien. 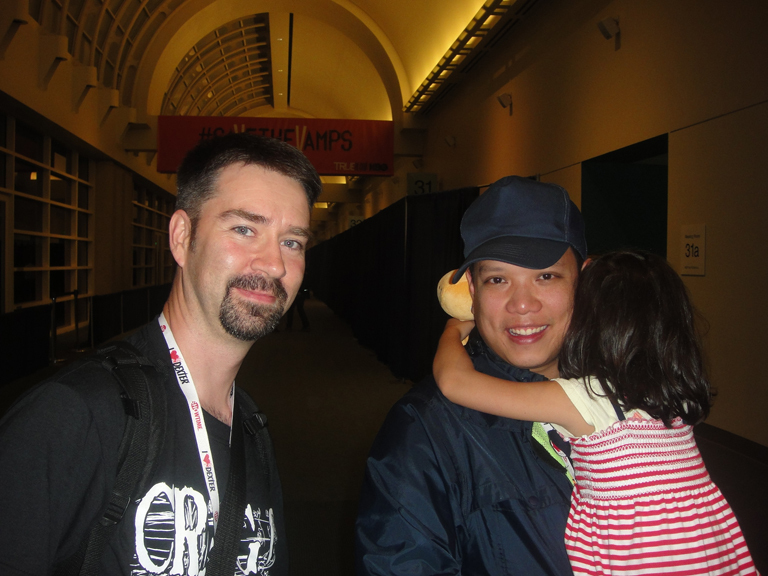 Wishing I brought my family with me while chilling with fellow panelist- super producer/DJ, Kid Koala. 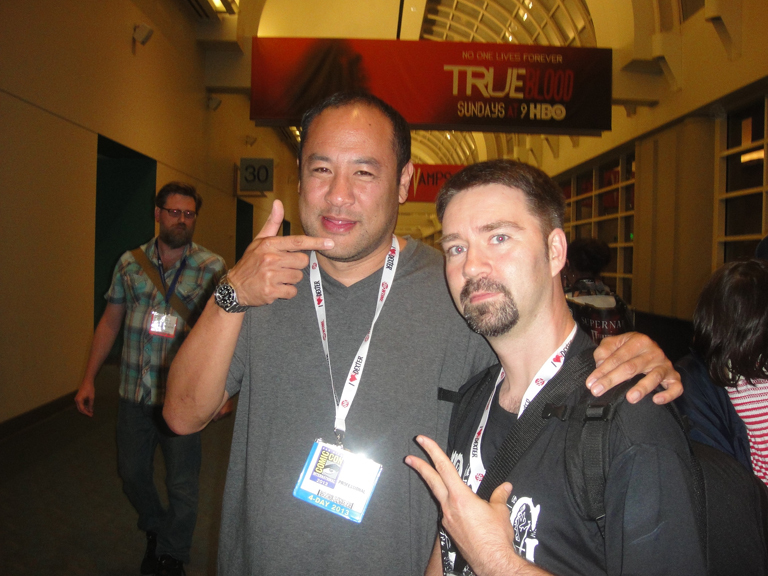 Chilling with fellow panelist and legendary Producer- Dan the Automator. How fresh would it be to do an ILLUS album with him? VERY Fresh! Yep- I’m a real life Comic Book Geek. 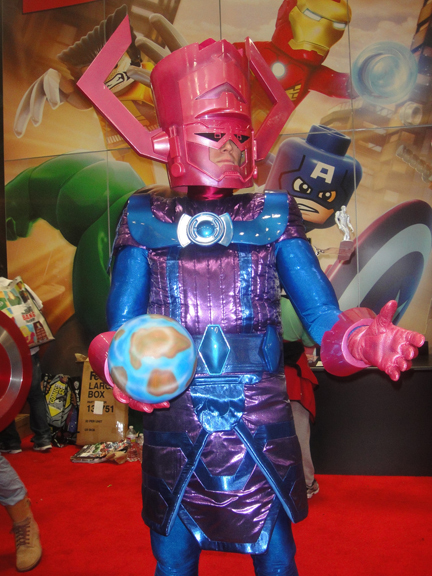 I’ve been attending the San Diego Comic Con since 1997. It has grown so much since then, thanks to so many successful Hollywood blockbusters. It is often completely overwhelming and there are times when I really hate how Hollywood it has become, but it is still an amazing show for true comic book fans and I love it and hope to keep attending for years to come. Hopefully someday soon I can bring the whole family with me. This was the first time I was ever away from my son overnight and it was difficult. I saw a lot of other little kids attending with their parents and it made me miss my little man even more. 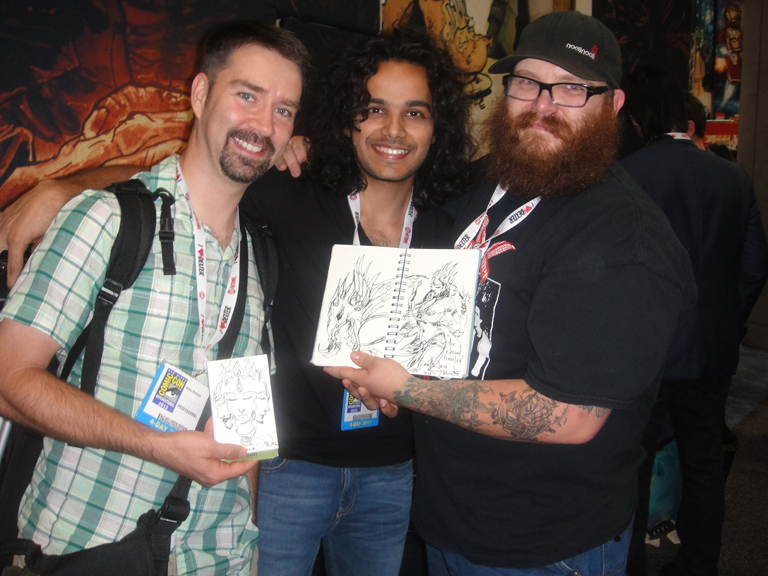 Me and my brother Chunk Kelly with the super talented Abhishek Singh all the way from India. Check out his book- KRISHNA: A Journey Within. Amazing stuff! Besides attending the panel I was also at the con to network and talk business with some fellow pros. I am currently working on a new comic book series that I am really proud of and I hope to have more information to share with you all soon. For now, stay tuned to this blog and make sure to subscribe so you can stay up to date. One other reason I was attending the show was to shoot video footage for a new music video I am working on for my song “Super Secret Identity” off of my album Feel Good Music, which was produced by the legendary Johnny Juice from Public Enemy. I’m currently editing the footage now and will probably do one more shoot at the upcoming ComiCONN, but stay tuned for updated and subscribe to my YouTube Channel. That’s all for now, friends. Blogging is incredibly time consuming and I need to get back to WORK!